Xiaomi might be known as smartphone and accessories brand in India but in its home country China it is a fully fledged electronics brand with products ranging from rice cookers to walkie-talkies. Xiaomi is slowly but steadily bringing its range of electronics product to India. 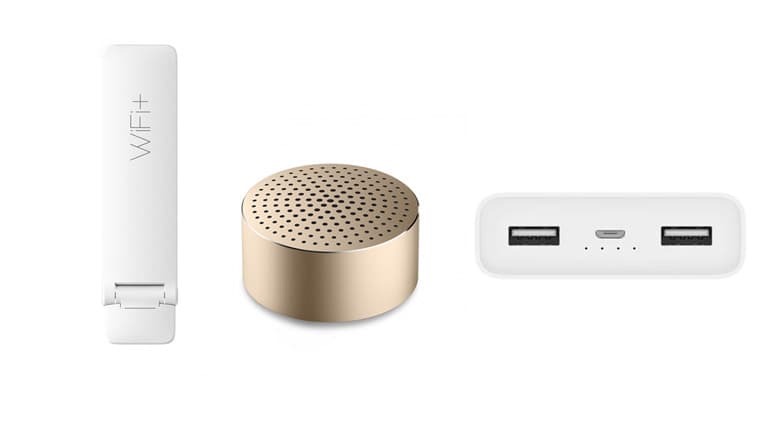 Last month it brought the Mi Router 3C and this month it has brought three new products, the Mi Bluetooth Speaker Mini, the Mi Wi-Fi Repeater 2 and Mi Power Bank 2 in 10000 and 20000mAh capacity. The products will be sold exclusively on Mi India official website with the exception of the power banks which shall make it to its partner online retailers such as Flipkart and Amazon. Let’s start with the Mi Bluetooth Speaker Mini. This is Xiaomi’s second attempt at selling a Bluetooth speaker with the now extinct but extremely good performing Mi Bluetooth Speaker being the first. The Mi Bluetooth Speaker Mini borrows design elements from its predecessor such as an aluminium body and bold colours grey and white. Unlike the Mi Bluetooth Speaker which was a stereo one, the Mi Bluetooth Speaker Mini comes with a mono speaker. The Mi Bluetooth Speaker Mini also misses out on hardware buttons to control volume and playlist. The Mi Bluetooth Speaker Mini however includes the ability to make voice calls with the help of the built-in microphone. The Mi Bluetooth Speaker Mini has a battery life of four hours and comes with a lanyard hole. The Mi Bluetooth Speaker Mini costs Rs. 1299 and will go on sale from June 21, 2017 at 12pm. The second product on the list is Mi Wi-Fi Repeater 2. This USB port repeater gives a boost to your Wi-Fi signal so that you get proper coverage across all the rooms of your house. 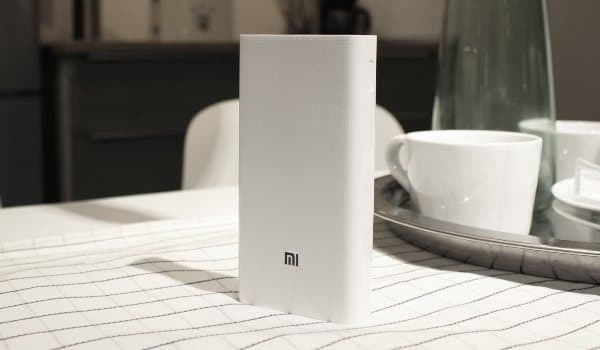 The Mi Wi-Fi Repeater 2 is said to be compatible with popular router brands and can be setup with the help of the Mi Home app. You can connect up to 16 devices with the Mi Wi-Fi Repeater 2. Unlike other repeaters which may have unwieldy looks the Mi Wi-Fi Repeater 2 has a sleek look but the trade in is that it has to be plugged into a USB port rather than an AC Power socket. This may have an advantage though as you can plug it into your power bank and laptops as well. 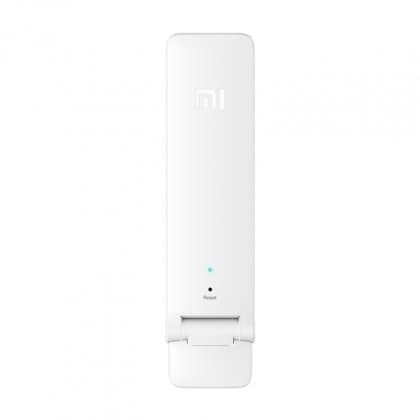 The Mi Wi-Fi Repeater 2 will go on sale from June 20 at 12pm for Rs. 999. Last on the list are the two power banks. The Mi Power Bank 2 is available in two variants. The first one has a capacity of 10000mAh and costs Rs. 1,199. The Mi Power Bank 2 (10000mAh) has actual output capacity of 6900mAh and conversion rate of 93%. The Mi Power Bank 2 (10000mAh) is compatible with 5V/2A, 9V/ 2A, and 12V/1.5A charging and even offers power output of 18W for fast charging. You can even use the Mi Power Bank 2 (10000mAh) in low power charging by double pressing the power button. This enables you to charge low power devices such as Bluetooth headsets and fitness bands. The Mi Power Bank 2 with a capacity of 20000mAh will set you back by Rs.2199. The MI Power Bank 2 (20000mAh) has support for Quick Charge 3.0 while charging through a single port. The Mi Power Bank 2 (20000mAh) offers 5.1V / 3.6A Dual USB output support. 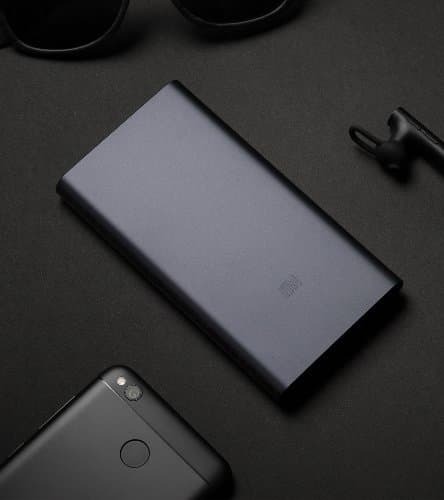 The actual output capacity of the MI Power Bank 2 (20000mAh) is 14000mAh. The MI Power Bank 2 (20000mAh) is packed with high density lithium polymer batteries and also has the same low power mode as its sibling. Both the power banks shall go up for sale on June 20, 2017 on the Mi website. They shall be available on Flipkart and Amazon from July 7. I should note that although I am a fan of Xiaomi, according to that the cost of their devices is much lower than that of competitors, and by the characteristics and quality of assembly is often compared with other well-known manufacturers, they still have enough competitors, because of market of gadgets and mobile devices is too large . Personally, I'm sure that Xiaomi will still gain its number of users. I like very much the new speaker from Xiaomi (Link to the official site Mi Bluetooth Speaker - Mi Global Home) which I'm thinking of buying, but as I said in none of the "top reviews" I have never met it, still the device is quite interesting.